FOUNDERS HOUSE PUBLISHING: Heaven's Point Guard - Coming Soon! Heaven's Point Guard - Coming Soon! 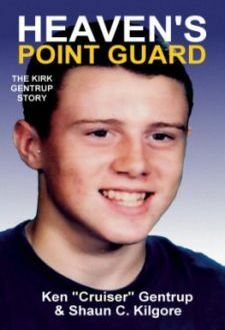 Founders House Publishing is proud to present the cover to its second release, Heaven's Point Guard: The Kirk Gentrup Story. We are glad to offer you a first look to our upcoming October title. We will be announcing the official release date very soon so check back with us. Heaven's Point Guard is the story of sixteen-year-old Kirk Gentrup, a star basketball player and exceptional athlete, who was fatally struck by lightning on a baseball field during a high school game in 1995. Written from the perspective of his father, Ken "Cruiser" Gentrup, the book recounts the story of this special boy, his death, and the impact his life had on the people of Vermillion County Indiana and beyond.